I think those saying it looks like paint is right. I took some Goof Off latex paint remover and used it on the lower quarter of my panel and it started to break it down. I quickly followed up with each pass an ipa and water rinse to make sure it didnt work its way into the clear. That took off the bulk of it. I had family over for the weekend so couldnt spend to much time, so next weekend I will tackle it all and take care of it then. The wheel well liner is a felt like material. I still think its odd they do that instead of plastic maybe it keeps quieter from the wind buffering around the wheel? but yeah that will probably be harder to clean. May have to take off my wheels and use a good scrub brush to that. And, this past weekend, I hit my former daily driver. As a note, I didn't hit the wheels as well as I could have because they are temporary as the factory wheels are being powder coated and when I get them back, I plan on adding ceramic coating to them. The salt corrosion alone destroyed the clear coating on the factory wheels. And, I ended up doing just a quick clean of the engine bay with the Eco All Purpose Cleaner, followed by a combination of Detail Spray and VRT. When all of the upgrades are completed, I plan on removing bits like the engine cover and having it repainted back to stock. Also, I'm still on the fence about keeping the headlights as I had to purchase a pair quickly as I took a rock to the OEM ones and cracked. Currently, they are LED conversions, but I'm tempted on pulling all of that out and just going back to stock halogen bulbs. Negative. I have not. I will have to see if I have any of the revive. I talked to a guy I know who is a painter who is going to have a look and give me a hand on the ones I can't get out. Here is how it sits now. It looks pretty good. It's not perfect and I know you can chase perfect forever, but I just want these more noticeable light ones eliminated. Just looking for input, is the $99 mystery trunk organizer worth the money? Hi @mantis, a ceramic coated vehicle does not mean it is maintenance free. You still need to wash them to get the road grime off, pollen, dust and other stuff from the door jams and the brake dust still sticks to the rims. A coated vehicle will still need to be loved, as @Nickfire20 stated, on a regular basis whether it is a two bucket wash or a ceramic waterless wash. As for the waxing part, you can use ceramic spray wax or ceramic paste wax, which has become my favorite that I use on non-coated vehicles. About once a month the ceramic waxed vehicles get a fresh coat of ceramic boost. Then hit the vehicle with ceramic wax with a topping of brilliant glaze and it will really pop for that special weekend or show. I'm slowly making my transition to the new ceramic line, although it will take a while before all the vehicles are transitioned - probably years - and I may not even do the daily drivers until they are replaced. When the wife's car gets replaced, that will be going to a professional to have a professional coating put on it. The wife's vehicle is the one we use for trips, it is garage kept and it always spotless and we usually keep her vehicles for 7-10 years. When it comes to the classics, they may not end up with anything more than ceramic wax on them, I'm undecided at this point. I consider anything over 20 years old to be on the classic side with the oldest right now being 1972 Datsun 240Z. My recommendation is to keep reading and pick what is best suited for your situation, vehicles, financials and outcome desire. 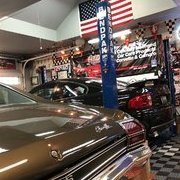 The one thing I have learned in my many years of doing vehicles is that each situation is different, including having different vehicles you own maintained in different ways. Beautiful car and great job on it. You have a full weekend ahead. Honestly, I recommend you coat the plastic trim while you're at it. It will make it look great and be super easy to clean, and lock in the trim restorer color, too. Just apply evenly and move on (no need to wipe down). You'll be glad you did. I'm thinking some lube like DS or WW, and plastic razor blades? Clay is also an option, and less intrusive. Other than the 1mm, no, but I needed an adapter for those sizes as well for my SunJoe. Here's a link that may help you. Today is my 10 year anniversary on Adam's Forums! Ten years ago I was looking to upgrade my detailing "game" (and to find something to do with my spare time since my son moved up to HS basketball and did not need my help/taxi service) and attended a local car show with a co-worker. The local Adam's dealer was there demonstrating on a Foose Challenger (it was built in a Vegas episode of Overhaulin') and he showed how to remove swirls. I purchased Detail Spray and VRT that night, and never looked back! The co-worker and I (and a 3rd co-worker) all purchased Porter Cable DA's over the next few months. After a couple of months I had a lot of the Adam's product line, and found a mentor to help answer questions. Over these 10 years, I upgraded to a GG 6", then to Rupes machines, and have been fortunate to be involved with product testing for Adam's and a few other companies. I have made several friends on this and other detailing forums, and worked a weekend at an Adam's event at the Daytona Turkey Rod Run. And have been lucky enough to attend lots of education classes with near by vendors, and the past 4 years to attend Mobile Tech Expo here in Orlando, with more education and hands on evaluation of the newest products. Oh, and the 2 co-workers...I see the PC's in boxes when I go their houses to detail their cars!